It all started because I didn’t call the cancellation line. You see, it had rained that morning, but then the sun came out in the afternoon and cleared everything up. Since we were new to this baseball program, it never occurred to me to call the cancellation line, especially on a day like this. I thought we’d get a mass e-mail or text in the event of a cancelled practice. So I packed up all four kids and went to my oldest son’s practice only to get there and realize it had been cancelled. Dumb mistake. Waste of time. Or was it? Turns out the coach had showed up as well (for clueless parents like me, I guess), and he stayed and gave both of my boys a private coaching session. He taught them how to pitch, something neither my husband nor I could have done properly. And wouldn’t you know it- my eldest son had a knack for it. Matter of fact, he’s one of their better pitchers now. And all because I didn’t know practice had been cancelled. What are some turning points in your own life? I’m sure most of us would think of big things right away- where we went to college, getting married, having children, deciding for or against a job offer, moving… Yes, these are major turning points, to be sure, but when you stop to think about it, we’ve probably all had countless turning points throughout our lives, and sometimes you may not even know when you’ve had one. Consider a friend of mine who caught a glimpse of a pretty girl pulling into a fast food restaurant and convinced his buddy to turn around and go in so they could meet her. He ended up marrying that pretty girl. And all because he just happened to have been driving past at the exact moment she turned in. Or consider the timing of our family’s move when I was in 5th grade. We moved just a few weeks into the school year, too late for me to join band, since everyone had already made their instrument selection and ordered instruments. Had we come a week or two earlier I could have joined with everyone else. Instead, I waited until the end of the school year and then took private flute lessons over the summer to catch up to the rest of the class. I joined them in 6th grade and within the first few weeks I was first chair. To this day I love to play the flute. I had been so disappointed I couldn’t join in 5th grade, but who knows? Maybe if I had joined with everyone else, the band teacher would have assigned me a different instrument to make up for the plethora of flutes already starting out. And having a private teacher over the summer was a crash course. I learned more quickly because it was one-on-one, so I progressed faster and was encouraged to continue. Perhaps I wouldn’t have loved it as much if I’d only been one in a sea of flutes. Or think of my opening example of my son in baseball. Now, he’s just starting out, granted. More than likely he won’t turn out to be the next Justin Verlander. But who knows? Up until this point he only wanted to play first base. 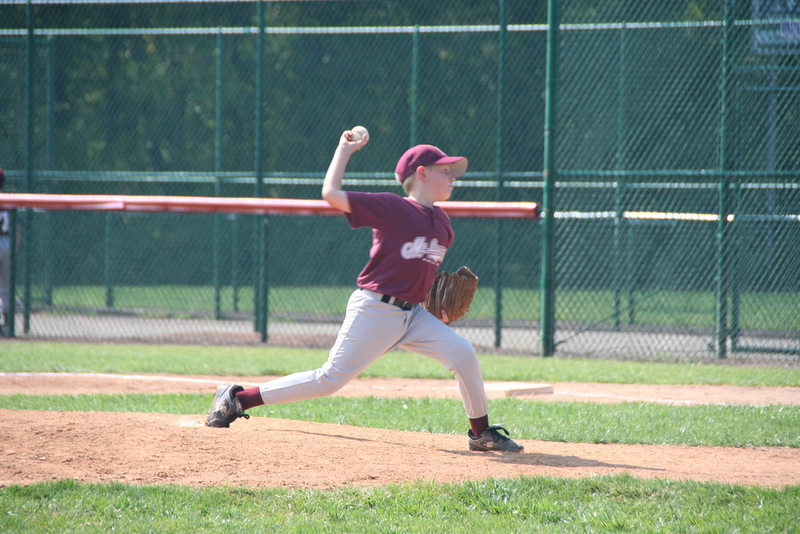 His coach urging him to try pitching has opened up a whole new side of baseball for him. Who knows where that will lead? What about you, dear one? Think back over your own life and see where you’ve had turning points. They happen more often than you realize. A wrong turn that made you late for work but also made you avoid a serious accident, a chance encounter with someone who ends up becoming a good friend, that strict teacher you didn’t want in high school who made history come alive for you and helped you realize it was more exciting than you thought it would be (true story- thank you, Mr. Brandt!). I’m sure you can think of your own turning points, major or minor. Some might call them coincidences. But as the old cliche goes, “a coincidence is when God chooses to remain anonymous.” Thank God for the “coincidences” in your own life. Be on the lookout for more turning points along the way. And every once in a while, don’t bother to check the cancellation line. It amazes me how seemingly small, insignificant decisions we make every day can have life-changing effects. I also think there are many such decisions we’ve made down through the years that we don’t even remember that have had similar life-changing effects.